It is wonderful to see how the doctrine of pragmatism works itself out to its logical conclusions. First the schools individually and freely jettisoned liberal education for a more useful education (we used to say “servile”). As I say, the schools did this pretty much on their own volition and singly. There was no state pressure as far as I know, but the schools freely chose to throw out the education of free men. And when I say “the schools” I mean every college, every university, and every secondary school! But not of course primary schools… I am not aware of any sort of elective system in place for kindergarten and first grade students. But now…. having educated generations with the education of useful pragmatism, these same schools are being forced to adopt collectively en masse an even more servile set of education standards at the risk of losing substantial funding. And so each state stands to receive a good deal of funding for their “free” adoption of the Common Core. For example, California stands to receive 1.25 billion dollars this year! Apparently that amounts to about $200 per student. Imagine a school with say 500 students. That’s an additional $100,000 according to my calculation. Not a bad little windfall to help those struggling tax supported institutions to crawl along for another year. After all what good does it do for kids to sit around reading a bunch of fiction anyway? Why would we ever want them to spend hours and hours and hours reading books by dead people like Homer and Shakespeare or even J.D. Salinger and Harper Lee!?! American literature classics are to be replaced by insulation manuals and plant inventories in US classrooms by 2014….Books such as JD Salinger’s Catcher in the Rye and Harper Lee’s To Kill a Mockingbird will be replaced by “informational texts” approved by the Common Core State Standards. Suggested non-fiction texts include Recommended Levels of Insulation by the US Environmental Protection Agency, and the Invasive Plant Inventory, by California’s Invasive Plant Council. Now I have never been a proponent of students reading Catcher in the Rye although I know all sorts of people who like To Kill a Mockingbird. But I have to say that this little bit of news makes me almost want to go out and purchase both books at once in protest. But nonetheless everyone has to admit that “informational texts” are absolutely more useful than works of fiction. I don’t think anyone can deny this who has already made the choice not to educate his own children with a classical education. What interests me is, why is anyone upset about this now? In other words, there are a half-dozen colleges in the country that offer a genuine classical liberal education. These are small colleges and frankly have to compete among themselves for a relatively small pool of students who are even interested in this kind of education. But …the fact of the matter is that the Common Core did not spring up overnight. 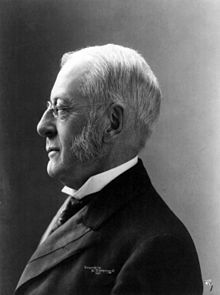 It was the great Charles William Eliot that dealt the death-blow to liberal education at Harvard University. Of course liberal education did not die all at once but rather by a thousand cuts with the first blow being directly aimed at the Greeks. In 1887 Harvard dropped Greek as a mandatory undergraduate requirement, and then it soon after adopted the “elective system.” I suppose you might say that Harvard dropped its own common core! And of course soon thereafter (you guessed it!) Harvard gained relevance and significance and fame and stature and is now the intellectual trend setter for everybody. Every other school simply must “get in line” and “bow down” and genuflect to the standards set by Harvard, right? Right. Interestingly, before he was president at Harvard, in 1869, Eliot wrote his “famous” educational manifesto in the Atlantic Monthly Journal with the foreboding title The New Education. What can I do with my boy? (I don’t know if Eliot had any girls, but note that the focus on boys. Liberal education might be fine for girls as sort of a “finishing” education but surely not suitable for boys who need to do important things!) I can afford, and am glad, to give him the best training to be had (I like his use of the word “training” here which I think should be distinguished from education.) I should be proud to have him turn out a preacher or a learned man; but I don’t think he has the making of that in him. (hmmm….interesting…is he admitting that his son does not have the wherewithal to be educated? I hope his son didn’t read this. ) I want to give him a practical education; one that will prepare him, better than I was prepared, to follow my business or any other active calling. (the best preparation for life is liberal education- the best preparation for any career!) The classical schools and the colleges do not offer what I want. (yes they do… or did) Where can I put him? Here is a real need and a very serious problem. The difficulty presses more heavily upon the thoughtful American than upon the European. He is absolutely free to choose a way of life for himself and his children (no he isn’t, not without a liberal education….liberal education is among the things that one needs to become free); no government leading-strings or social prescriptions guide or limit him in his choice. (those were good times, but ironically in large part thanks to Charles William Eliot we can no longer say this! )But freedom is responsibility. Subsequently Eliot was elected as the 21st and youngest yet president of Harvard College. The nation’s leading intellectual institution set the trajectory for every college and secondary school on a precipitous downward slope (I can’t remember if a cliff has a slope…I guess a slope of “infinity” Algebraically speaking) the terminus of which is sheer naked utility. It is probably improper to speak of the bottom of a cliff as a terminus. Somehow the word terminus seems to imply an end that is at least slightly elevated. But the path to sheer utility is not up. It is “towards matter” as Aristotle would say and is therefore “downwards.” It is not towards form and the upper regions. There is no utility in heaven as far as I know, and heaven is certainly upwards. I am not criticizing utility or matter here. I am just trying to identify in what direction it lies. Of course Catholic Schools and colleges, as if not to be outdone, have tried to keep pace with secular standards. Tough to accomplish without losing one’s Catholic identity. But those of us working in the secondary school world at least have consoled ourselves with the idea that “if utilitarianism – a la Francis Bacon- has pervaded and prevailed among the nations colleges and universities, at least the nation’s secondary schools have provided a safe haven into which classical education might retreat. At least a student might pursue truth for its own sake and perhaps spend a little uninterrupted time deepening his humanity in primary and secondary school. Looks to me like the primary school may be the last refuge for liberal education. This entry was posted in classical education, college, education, Liberal Arts, Modernists and tagged Charles William Eliot, Common Core, francis bacon, Obamacore, utilitarianism. Bookmark the permalink. 4 Responses to All Hail the Common Core! Good article, Mark, but WHY are Catholic schools falling down the same hole??? Grab the money so we can attract better teachers, that can teach “common” level work? Does that make sense??? Please, all who read this, contact your pastor, your bishop, and put a stop to this. Catholic schools have fallen far enough without teaching to the “common” level, which WILL BE below most of their former curricula. If we need government grants to be LIKE public schools, well, I already pay for that. Why should anyone pay $4,000-$10,000 per year for COMMON school, with a token throw to social justice, oh, and let’s bring in a can of food to not have homework. It is true that young people should learn practical skills somehow, but are we assuming that students do not live with their parents in houses? Do these parents not teach their children practical skills in those houses? Do students not work practical jobs over the summer? Why is this the schools’ job? It would seem that the one thing working parents cannot do well in the home is the minutely detailed and highly ordered task of teaching Latin and Greek and Geometry and other liberal subjects. Let’s let the schools do what a school can do best – form the mind in this consistent manner, and let the practical be taught at home where the student can actually practice his skills with personal direction over a lifetime. As for the Common Core, maybe there are some good points, but all I see now is TRAIN WRECK!! Have you seen the Common Core “Big History” course yet? Terrifying. The “Big History” course is absolutely terrifying! It is the perfect “secular counteroffensive” to any Graeco-Roman-Judaeo-Christian-Western-Civilization understanding of History. We need to hope that this fails big time! Part of the problem is that Philosophy, Literature and History departments, especially, have been co-opted by the relativists and the politicorrectists who have stripped these courses of any true universal and objective content. These courses were already hollow, and therefore, a practical man-of-business like Bill Gates or men-of-science like Richard Feynman can easily dismiss the study of such subjects as a waste of time. It reminds me of those Christian Churches that reject Church authority and Gospel truth in favor of therapeutic relativism and then complain that their numbers are falling off the slope-of-infinity cliff! Or the defenders of no-fault divorce and contraceptive marriages who decry the recent ‘developments’ in the marriage debate. The practical and relativist among curriculum designers have been their own undoing! Common Core is just carrying away the carcasses.